There’s no question that the palettes, values, and demands of food and beverage consumers are changing faster—and more disparately—than ever before. New products are hitting shelves at an even greater clip, but as food scientists, we need to take a deep breath and ask ourselves: What do consumers really WANT in 2019—and beyond? These are tough questions that require real answers. Thankfully, there are new technologies, such as blockchain, that provide everyone, not just food science professionals, with more background information about their food. Shoppers will soon be able to scan a bar code with their smart phone and see the farm a chicken came from, how far it traveled, and even view a picture of the farmer who raised it. 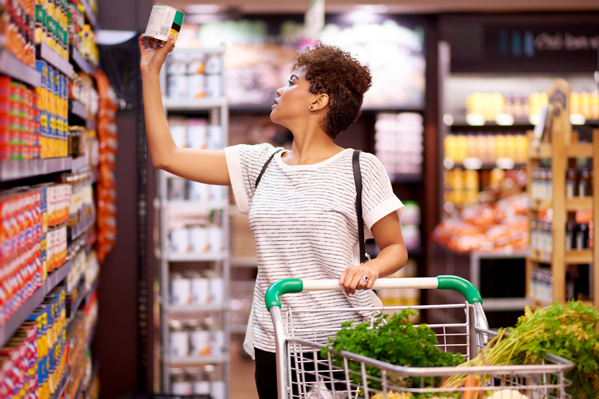 According to SmartBrief, 39% of shoppers today would be willing to switch brands and start using new products that feature more transparent or “clean” labels. So we should expect blockchain and other clean-label technologies to really start expanding in the near future as the demand for true transparency and “farm to table” tracking becomes a key purchase incentive. The increasing demand for protein feels like a recycled trend every year, but consumers are finally beginning to look for new, healthier, more humane ways to get their daily dose. Since 2014, consumption of organic beef, chicken, pork, and turkey have each been on a steady incline, reaching record highs in 2018—and this growth is expected to continue through 2019. Let’s not forgot though, there are plenty of other good source of protein. And those, too, are garnering more attention from both food scientists and consumers of late. Plant-based: As more vegetarians/vegans try to find that perfect “cut” of “meat”, the taste, texture, look, and feel of plant-based proteins are literally improving every day. Look for new offerings at your local grocer and restaurants every time you’re out. Insect-based: This might seem like a negligible point, but demand for crickets is expected to expand in 2019, as curiosity and willingness to explore options grows. In fact, the market for insects in North America alone is expected to rise to $153M by 2023, up from just $44.1M in 2018. Lab-based: Although we’re still a few years away from seeing these in grocery stores, lab-grown proteins are starting to take shape and expected to generate more interest in the coming months/years. Stay tuned! We are entering an era in the food industry when more people will be thinking more strategically about eating foods that help give them energy, focus, sharper thinking, and an overall better sense of well-being. One of the biggest parts of this movement are all the new “superfoods” being added to everyday foods and beverages that bring about positive health-driven benefits. Eating for mind: According to Research and Markets, brain-healthy foods are projected to be worth $11.6B by 2024. More consumers are turning to brain-healthy foods like nootropics and ingredients such as dandelion greens and jicama (Mexican yam). Eating for digestion: Sales for food and beverages that are good for digestion exceeded $4.9B in 2018 and that number isn’t slowing down. Probiotic foods, including kombucha and numerous varieties of fermented foods, as well as spices like turmeric are becoming household names for their benefits to the body. Eating for beauty: There are plenty of food and beverage options that help to assist in shinier hair, softer skin, stronger nails, and more. But what’s interesting is that people are now consciously seeking them out—and clean labels will certainly play a role in getting that info to the masses in a more user-friendly way. It’s apparent that consumer behaviors are changing more rapidly than ever before—and the food science industry is innovating across the board to stay ahead of ever-shifting demands. At IFT19, you’ll learn all the latest in consumer data, trends, and insights from top food industry data analysts and business intelligence experts at Innova Market Insights and Mintel, as well as participate in countless presentations from research experts around the globe. Join us to find out what’s hot in 2019 (and beyond!). Register for IFT19 by April 19 and save!